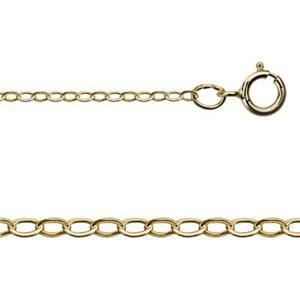 A 30" opera length of our bestselling gold filled jewelry chain style. Small links are still easily visible with a bright gold flash. It's easy to add pendants or focal links to this flat cable pendant chain. Learn more about gold-filled jewelry supplies in our video blog 5 Things You May Not Know About Gold-Filled.